This is what I had for lunch one Thursday afternoon after fetching my son from school, a large bowl of Gyudon Beef Bowl by Yoshinoya. I intended to share it with my son, but all he had was one spoonful. He said he was already full from the pizza and fries he ate at their school canteen earlier. Well, I actually didn’t mind having this big bowl all for myself. Lol! Thin and tender slices of beef with onions on top of steaming rice were more than enough to satisfy my hunger. 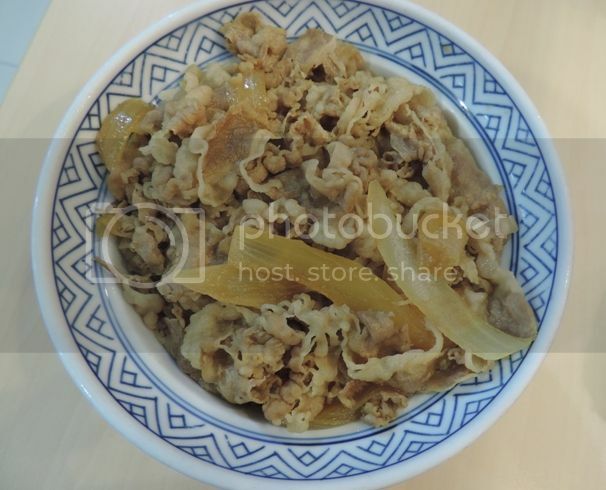 This entry was posted in Gyudon Beef Bowl, Yoshinoya. Bookmark the permalink. I usually cooked beef because this meat my favorite than pork and chicken. This kind of food makes me hungry at times when I roamed around the mall.